Is an attending physician at Westchester Medical Center, Hudson Valley Hospital Center, St. John ‘s Riverside and Phelps Memorial Hospital. Born in Buenos Aires, Argentina, Dr. Puccio came to the U.S. as a child, graduated from Fordham University and received his medical degree from the IJniversidad Autonoma de Guadalajara in Mexico (valedictorian). His Internal Medicine residency was at Maimoides Medical Center and Fellowship in Oncology-Hemato’ogy was through New York Medical College. 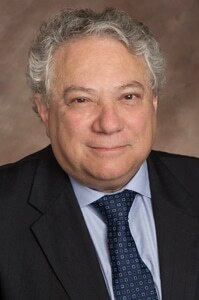 Dr, Puccio is Board Certified in Medical Oncology and specializing in solid tumor management. Dr. Puccio cares for patients with lun% breast, gynecologic, head and neck cancers with unsurpassed -expertiSe. He played a key rote as member of the New York Medical College team that spearheaded research on interleukin-2, oxaliplatin and fludarabine which today are standard therapies for a variety oi cancers. He has a special interest in developing approaches to improve quality of life for patients undergoing cancer treatment. As Assistant Professor of Medicine, Dr. Puccio mentors medical students, interns and residents. He is a frequent lecturer and has published numerous papers on a variety of cancer-retated topics. Dr. Puccio cares for a highly international group of patients and is fluent in English, Spanish and Italian.